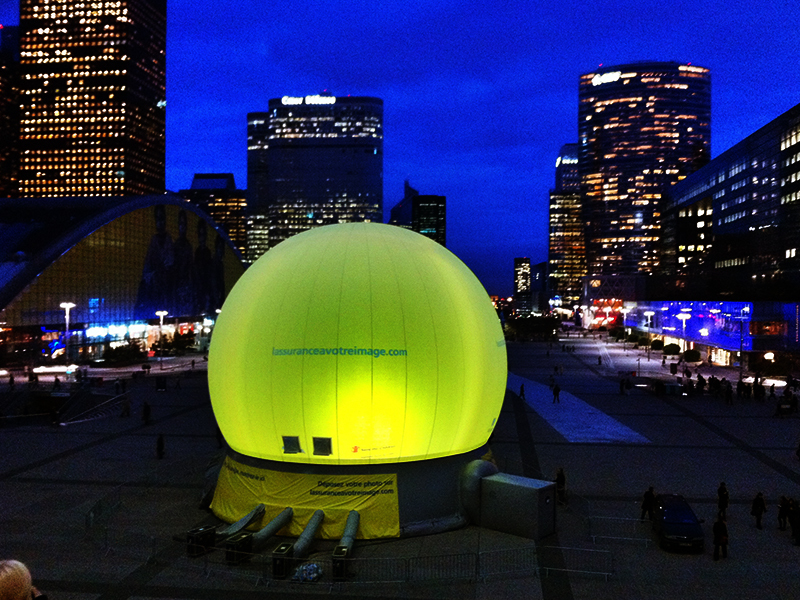 LM Productions travelled to Paris with a 15m StratoSphere, in order to stage Aviva's new marketing campaign, ˮYou are the Big Pictureˮ; a three year project running in cities around the world including London, Warsaw, Singapore, Delhi and Mumbai. The StratoSphere, complete with 360 degree HD projection, was installed at the foot of the iconic Grande Arch in the Parisian business district, La Defense. Every evening, the StratoSphere came alive with images creating a huge amount of public and media interest. The concept was completely unique in utilising Facebook and YouTube; this allowed the public to get involved across the globe. Using Aviva's website, people could upload an image of themselves to a gallery which would then be projected onto landmark buildings around the world, and a photo would be sent to them of their projection.